Black and white in the cemetery. Noir et blanc dans le cimetière. 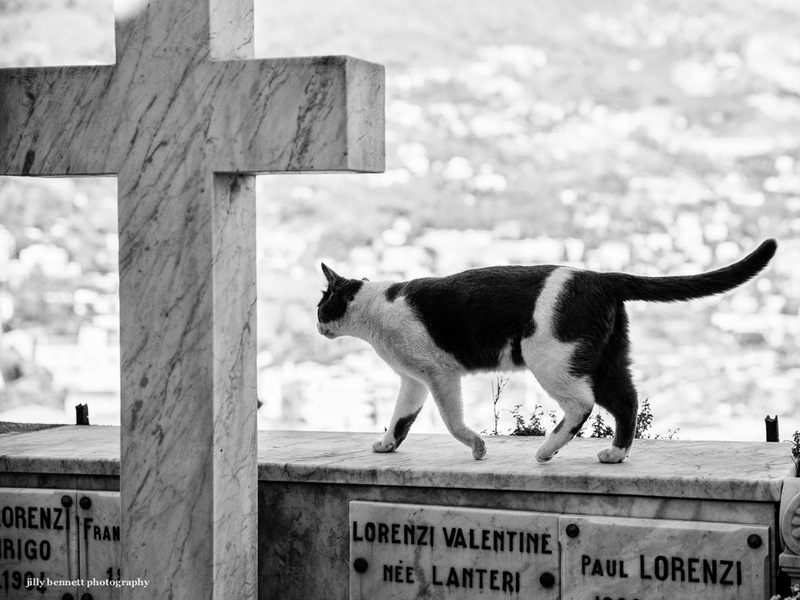 The cat's no doubt accustomed to the area; the cemetery must be on his or her daily rounds.